The Hinoki Cypress is a fantastic choice as an evergreen specimen planting. It has a slow growth rate combined with an unique branching habit of vibrant green whorls. 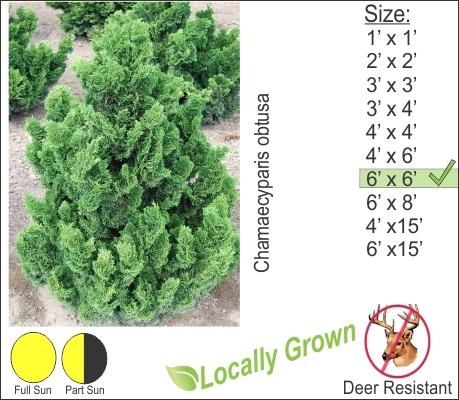 Hinoki cypress is deer resistant and can be planted along the front walkway as a single specimen. I would normally space this specimen approximately 4 ft. minimum distance from your walkway’s edge. This will allow for some growing room.